FXBG SUP was a business side project that I did from 2012–2015. The business gave me a lot of motivation to get outdoors and I met some of my best friends in the community through the course of my involvement with it. 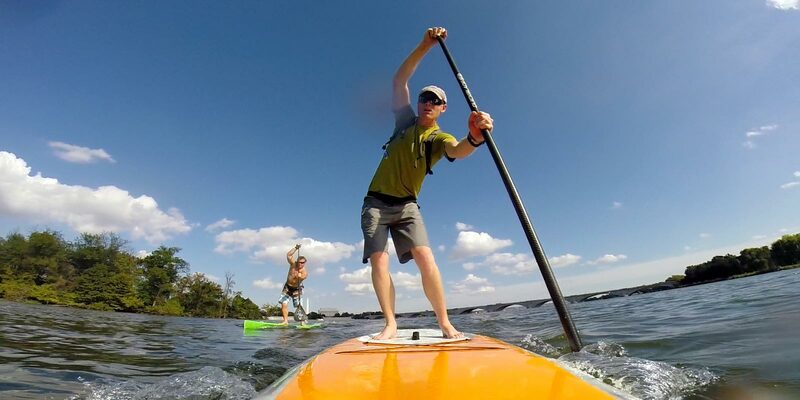 FXBG SUP was the first stand up paddle instruction business in the area and it had a monopoly on the market in 2012 and 2013. It did well from the start and continued to grow, despite increasing competition. By 2015, there were a total of five businesses in the area following this same model. I stayed one step ahead and offed night tours using boards set up with a unique LED light system that I developed. This was great fun. Toward the end of the summer, however, I just didn't have time available to give to the business and decided to wrap up the season early, though still able to call it a success. It was a good few years and a fun little diversion while I was able to do it. I created the website in an all-night coding session. I started building it from the ground up, using a text editor and writing in HTML. Over following three years, I updated content (e.g., swapping out photographs, updating copy), but the general design and structure stayed the same. Brand alignment was particularly important to me in this project and with the business, in general, and the style and color palette of the site matched the physical assets of the business, right down to the boards, paddles, dry bags and complimentary bottles of water I would give to customers with their lessons. This was a particularly fun project because I was so deeply involved in every part of the business, which allowed me to create brand assets that were remarkably cohesive. That sense of doing something so well was exceptionally satisfying. 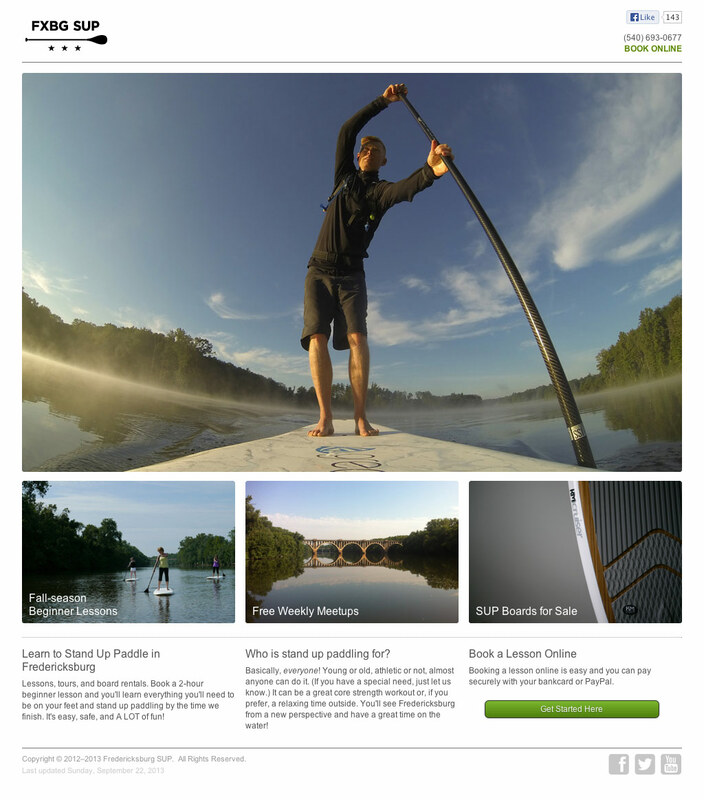 You can view the website in its current state at FXBGSUP.com.